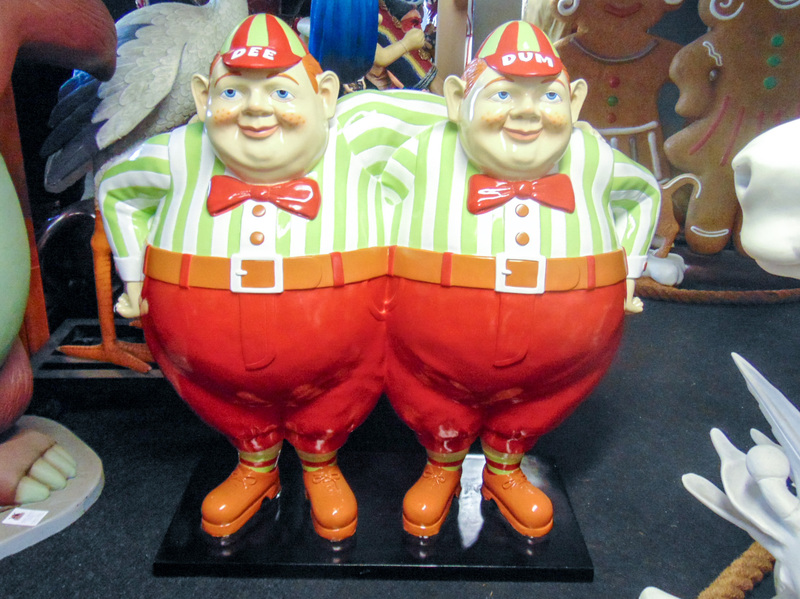 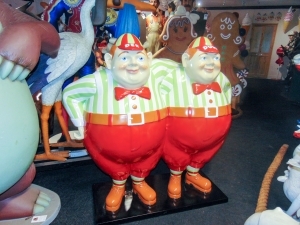 These models are based on the fictional characters of Tweedledum and Tweddledee. 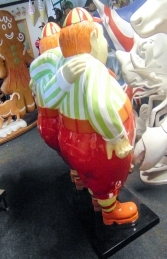 Brightly coloured they are child friendly and would stand out in any display. 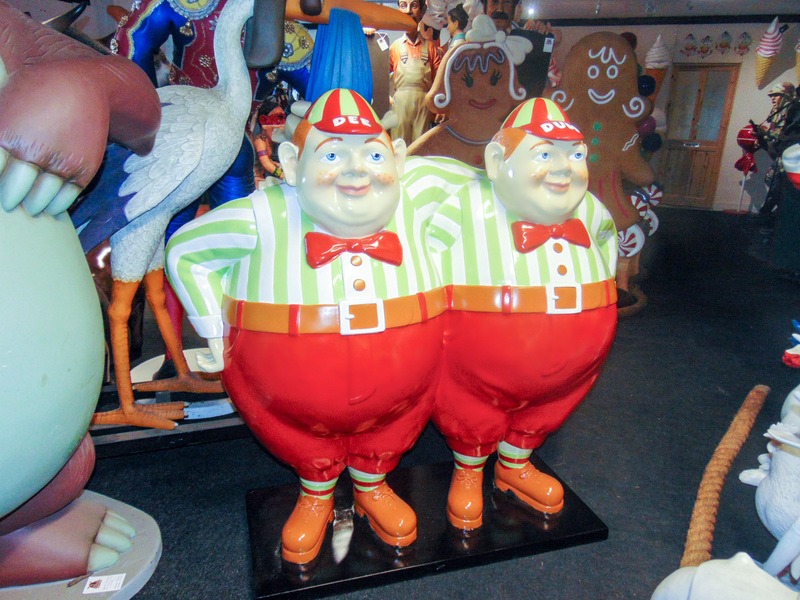 This tweddledum and tweddledee is great for fair grounds and children play areas, this high quality resin model retains all the detail of the fictional figures, and is a great element of a photo opportunity for your customers. 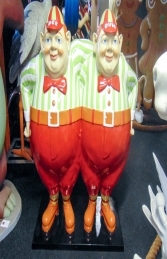 these models are linked together and can not be seperated. 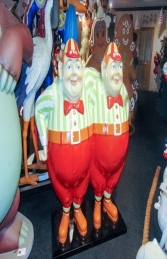 These two chaps are perfect for any Alice themed display. 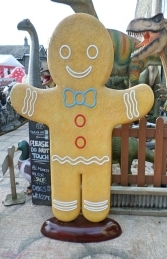 These fantastic life-size figure always generates lots of customer attention; it can be used in any themed area or in shops, businesses, pubs, restaurants, coffee shops, adventure golf courses, zoos, theme parks.